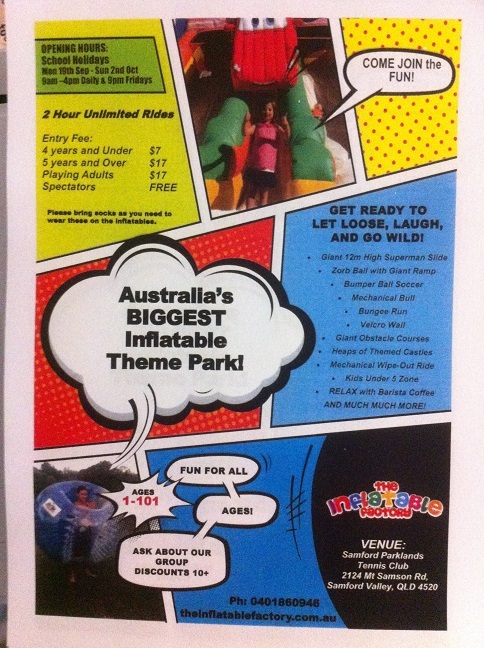 INFLATABLE FACTORY COMING TO YOU THIS SCHOOL HOLIDAYS!!! Notice is given that the AGM of the Samford Tennis Club will be held on Sunday, 09th October, 2016, at 9am in the Clubrooms at Samford Parklands. A new Executive and Committee will be elected at this Meeting.